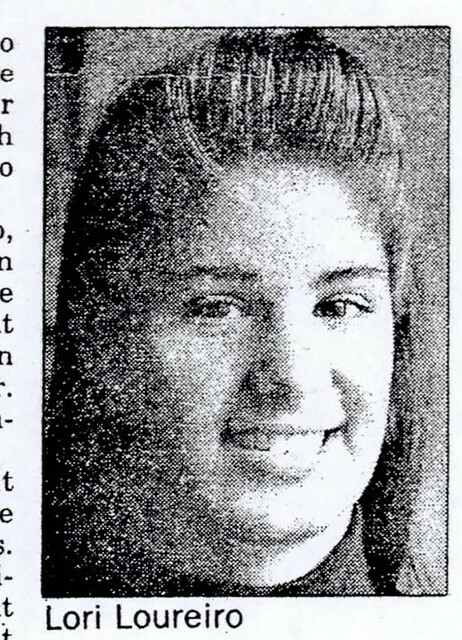 A superb all-around athlete, Lori Loureiro Trahan’s focus on the sport of volleyball at Lowell High School earned her statewide honors and an NCAA Division I scholarship. 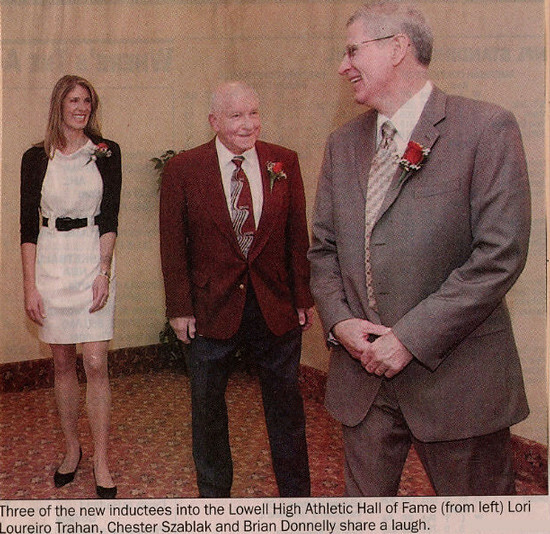 Lori made significant contributions to the Lowell High basketball and outdoor track programs before her focus turned to volleyball. 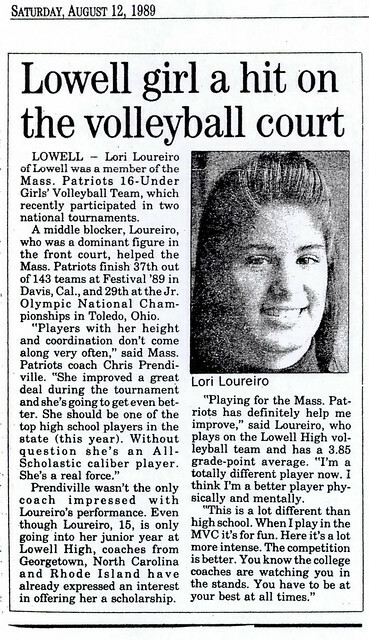 A four-year varsity performer under Coach Rick O’Brien, Lori combined grace and athleticism with a 6-foot frame to develop into perhaps the most outstanding volleyball player in the annals of Lowell High School. 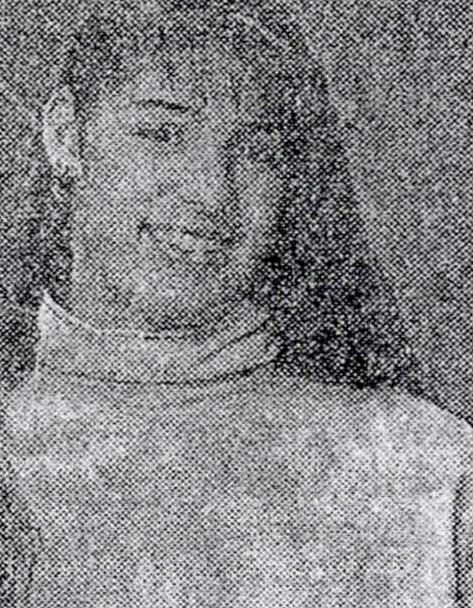 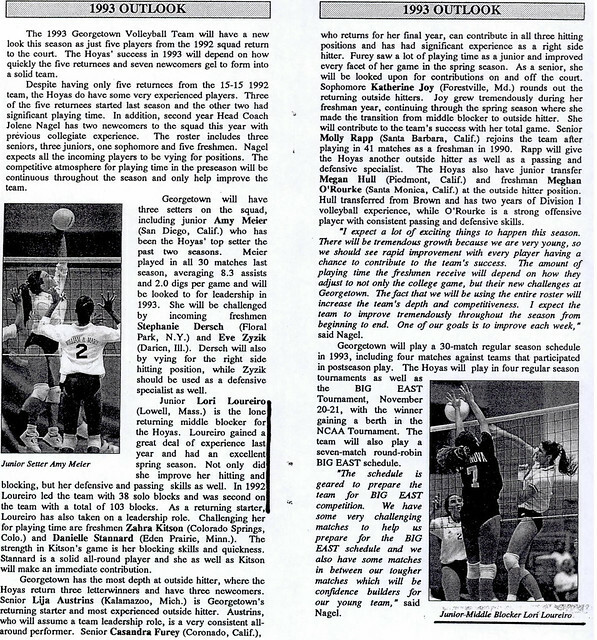 After Lori’s sophomore season (1988) she made her debut as a member of the Mass Patriots Under–16 program, including elite players from throughout the state. Traveling nationwide with the Patriots, Lori opened the eyes of numerous college coaches, garnering inquiries from several Division I schools. 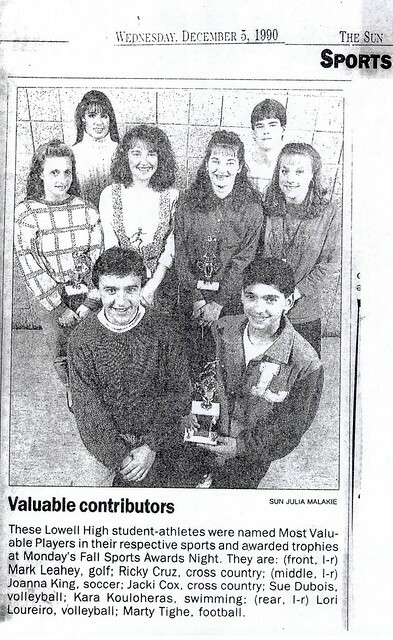 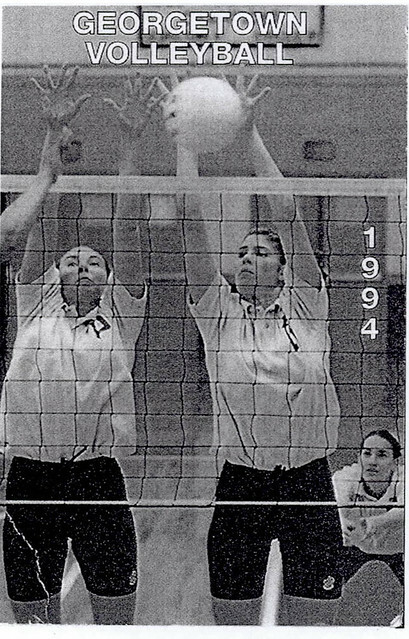 Patriots coach Chris Prendiville praised Lori as an “All­Scholastic player.” Lori continued in the Patriots program through 1999. 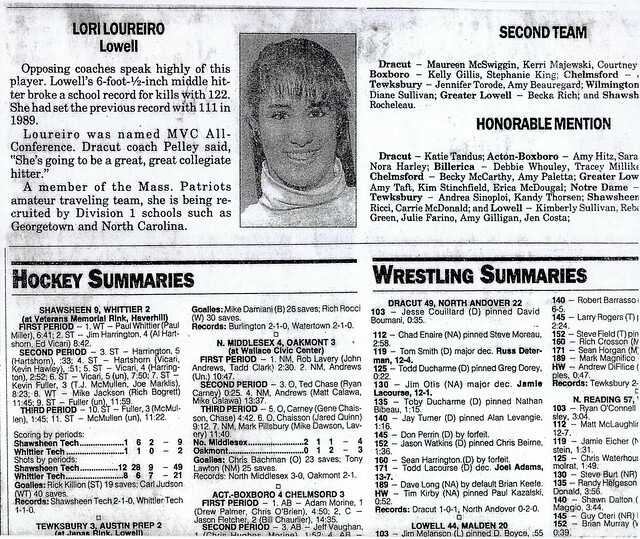 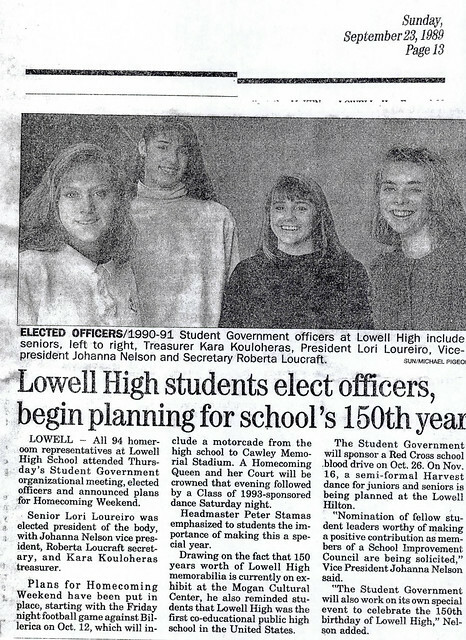 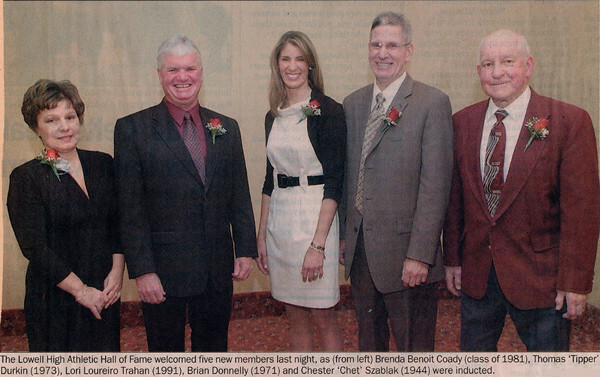 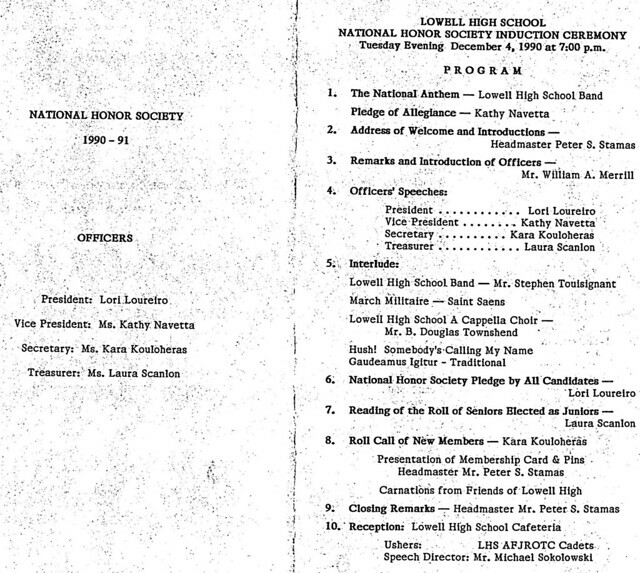 Lori continued to earn honors as a member of the Lowell High team. 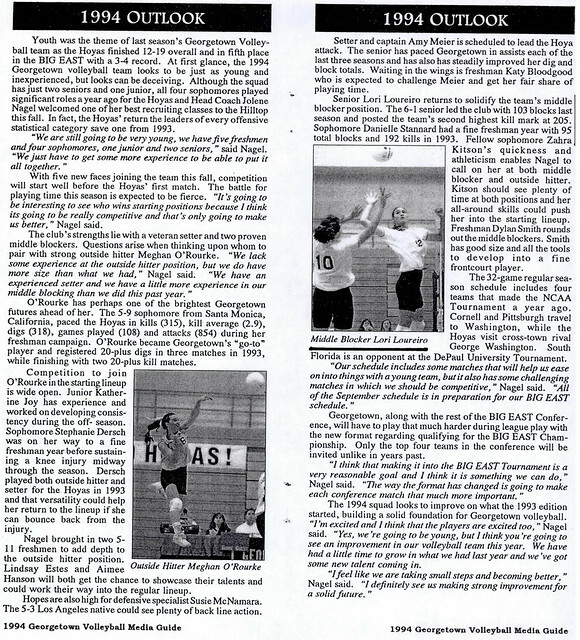 She culminated her stellar career with a superb senior season in 1990. 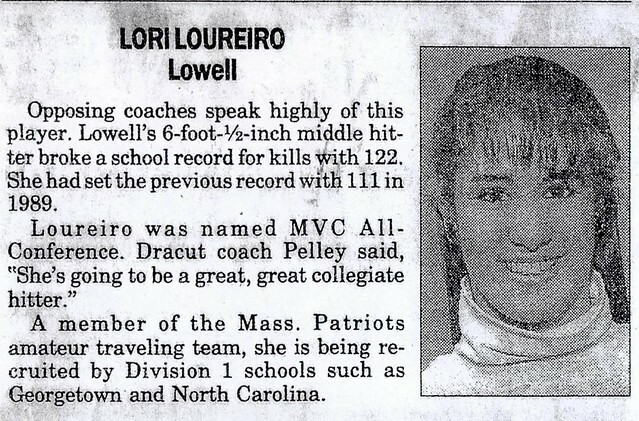 The team Co-Captain and Most Valuable Player, Lori was selected as a member of the Merrimack Valley All-Conference and Lowell Sun All-Star teams. 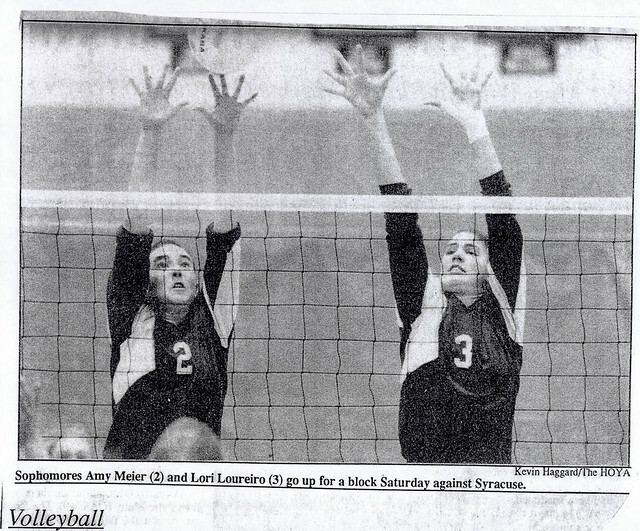 Lori was also selected as a Boston Herald All-Scholastic and chosen as a member of the prestigious Mizuno High School All­Star Volleyball team. 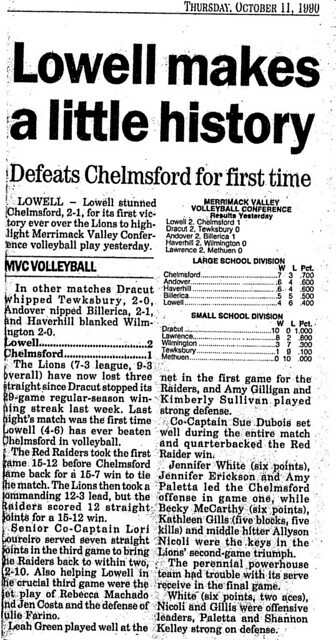 One of her most memorable performances occurred in a thrilling come from behind 3-set victory over perennial state powerhouse Chelmsford, Lowell’s first victory ever over the Lions. 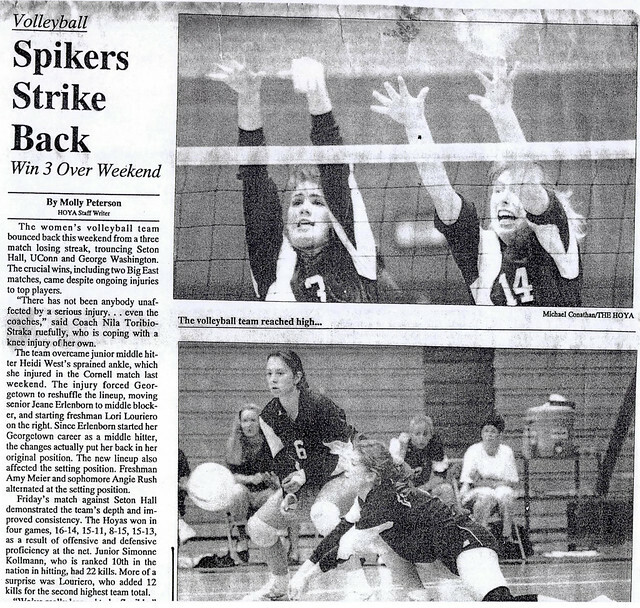 In the decisive 3rd set, Lori served 7 straight points to spark a game­ending 12-point run that turned a 12–3 deficit into a 15–12 victory. After graduation Lori, an exceptional student, attended Georgetown University on a full scholarship, graduating in 1995. 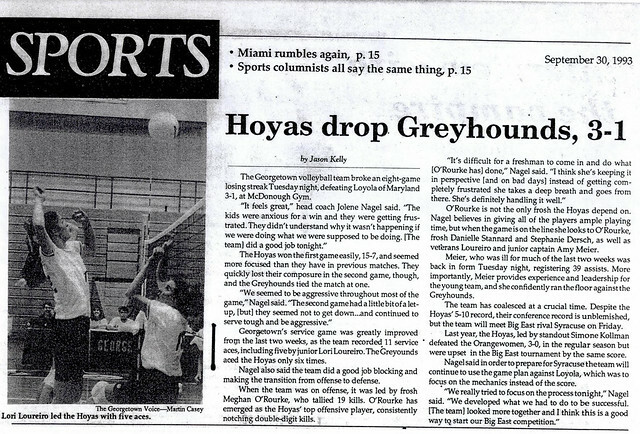 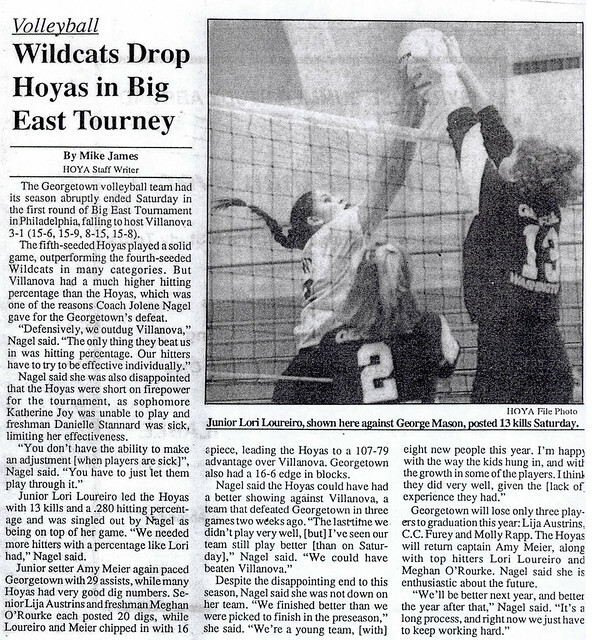 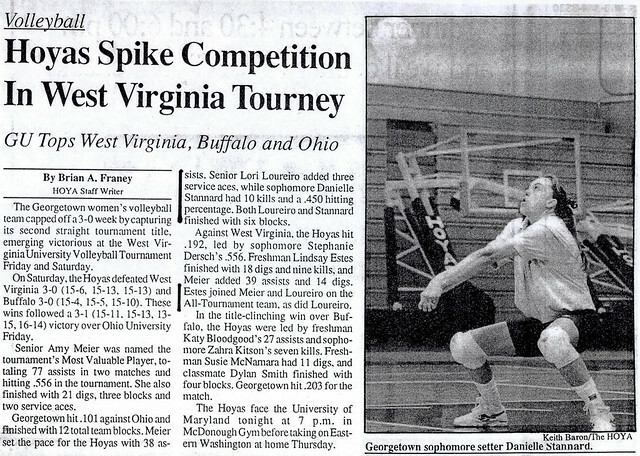 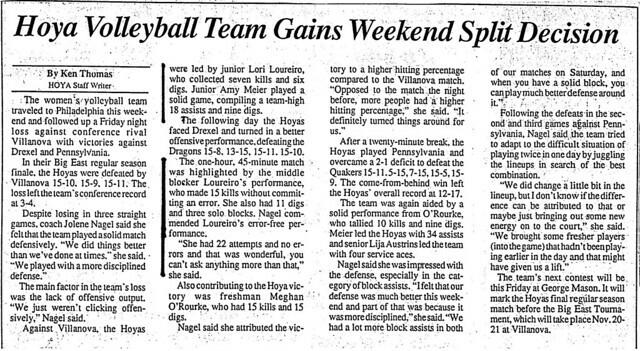 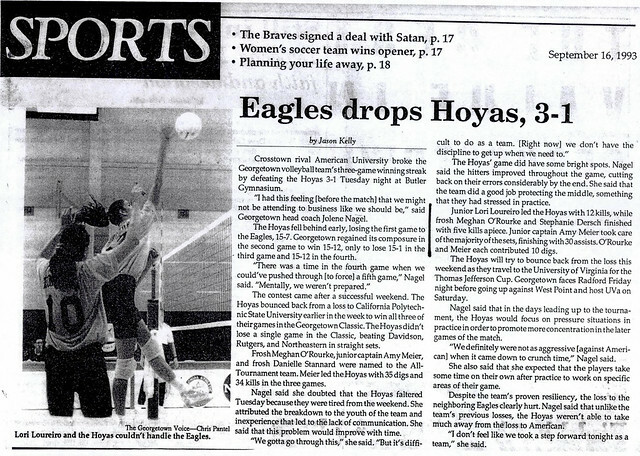 During her four-year career with the Hoyas (1991–1995), Lori developed into an outstanding middle blocker, regularly among the team leaders in blocks and kills. 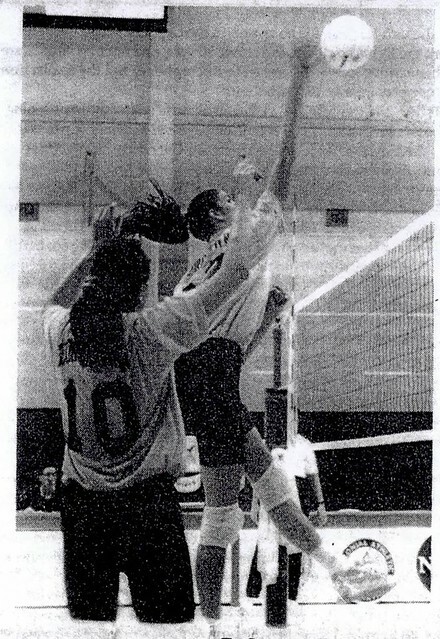 Coach Jolene Nagel often praised Lori for her consistency of play. 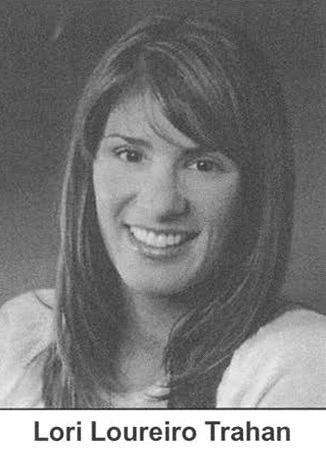 Lori returned to Lowell High School in 1995 to coach in the Red and Gray Volleyball program. 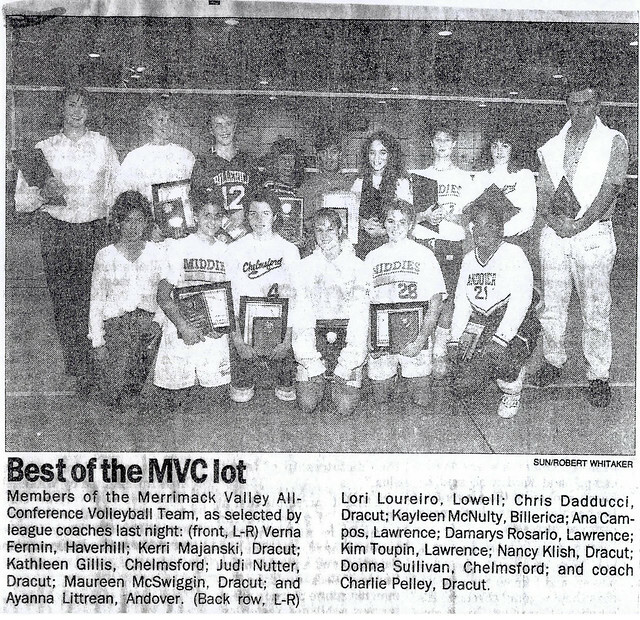 As varsity head coach Lori directed the Raiders from 1997–2002, highlighted by a Merrimack Valley Conference Divisional Championship in 2000.